7Life can be stressful and one of the major causes of stress is money. There never seems to be enough of it to go around and we could all do with a little extra cash. And if you’re feeling financial strain this year, then read over these ideas and tips and let us know what you think! We’d love to hear how you apply them. Start creating a monthly budget that will help you keep an eye on where every dollar is going and what needs to be cut back on. This is one of the most important ways to get yourself back on track financially. Also, the budgeting app, EveryDollar, is a great place to get started! Once you’ve got your budget setup, a good trick is to take your weekly allowance out in cash and leave all your cards at home. This way you will know exactly what you’re spending and there’s no chance of going over budget. If you are after more financial stability, you have to be prepared to buckle in for the long haul. Set yourself attainable goals and targets and work towards them stage by stage by setting dates. This will be one of the main obstacles that you will have to overcome. Get this problem handled early on in your plan and the rest will soon follow. You want to be in a position that when things go wrong, you can at least be able to dowse the problem. When the boiler busts, or your car breaks down, you don’t want to be racking up payday loans or credit card interest to keep your life going. Try to build up an emergency fund for such eventualities. Pay close attention to your weekly grocery run. Shop around, compare prices, and be pleasantly surprised at the amount you can save. Savvy shopping really is one of the keys to unlocking the money that you have at your disposal. 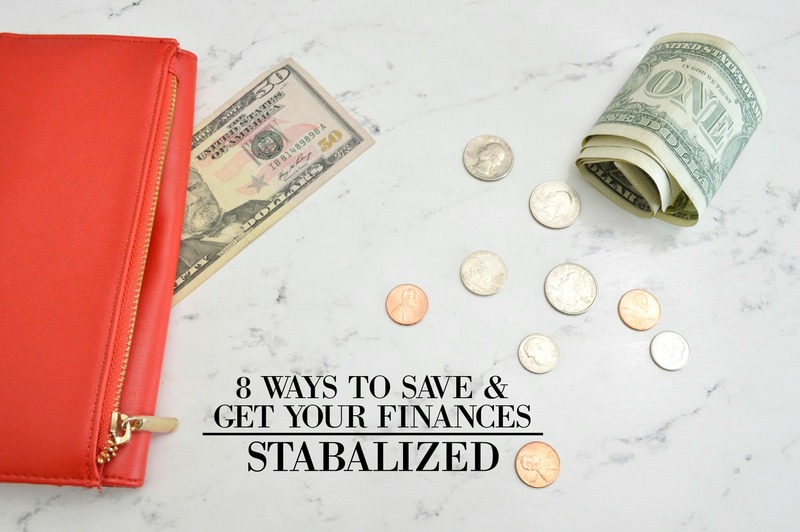 This is a key step to your future financial stability, so don’t skip this one! It’s very tempting to borrow a ten from a friend, because after all that’s what friends do and you’d do the same. It’s normal. The thing is, if you borrow it, you’re gonna have to pay it back. So make sure not to borrow money and whatever you do, stay away from those payday loans! Maybe you can skip on that take-out coffee. Maybe you can take a packed lunch to work. A big part of this whole getting out of debt thing is that you’re going to have to be firm with yourself. It just goes to show that with just a little bit of planning and structure you should be able to straighten out your finances and get yourself a little bit of breathing room. So try out these ideas and let us know what you think!